If I’m going on a trip, so are my Valslides. 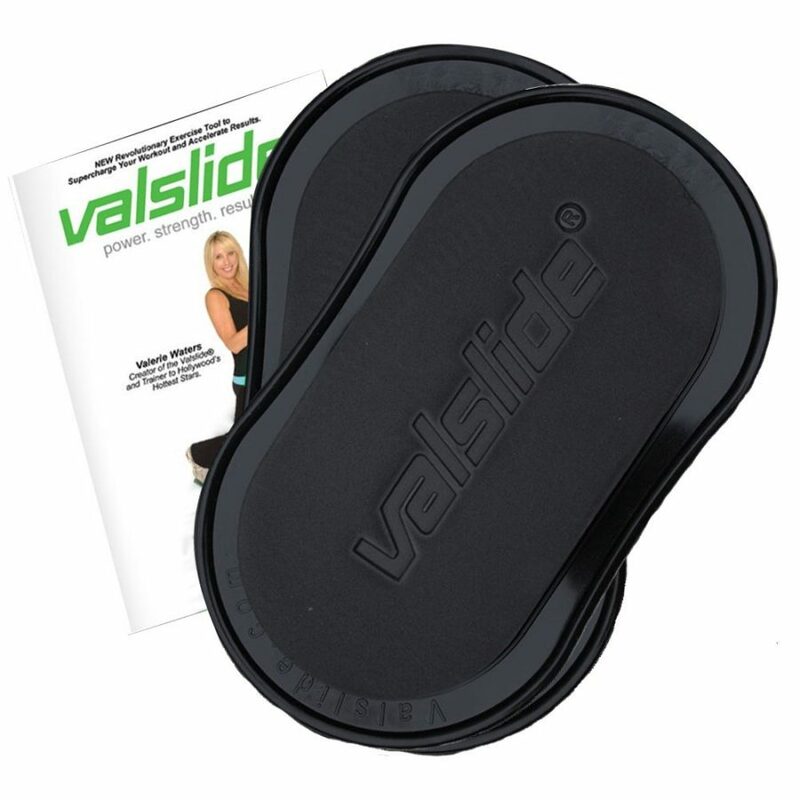 Light and compact gliding disks, Valslides are the best take-anywhere fitness tool. Just slip them into a carry-on and you’ll easily be able to keep up your strength up while traveling, taking an office break, or for a no-excuses workout at home. Stand on them and slide one foot back into a reverse lunge or laterally for a side lunge. Squat and “skate” side to side. Lie on your back with the disks under your feet and your hips lifted, and slide your feet out and back to work your hamstrings. Turn around, and get in a plank position with the balls of your feet on the disks and try mountain climbers or inverted Vs for core and shoulder work. Then put the Valslides under your hands and work your chest, back, arms and core. Check out more exercise moves with Valslides here. The disks come with an exercise guide and a travel pouch and are perfect for giving and receiving. They retail for $29.95 at http://www.valslide.com/shop.